THE NEW NATIONAL – Lodge & Conference, is situated in the Cape Town suburb of Parow. A convenient 10min drive from Cape Town International Airport and within easy access of business and entertainment nodes, The New National’s Conference Venue is the best kept secret in Cape Town’s northern suburbs. The venue’s modern décor and simplicity will appeal to professionals and event organisers alike. 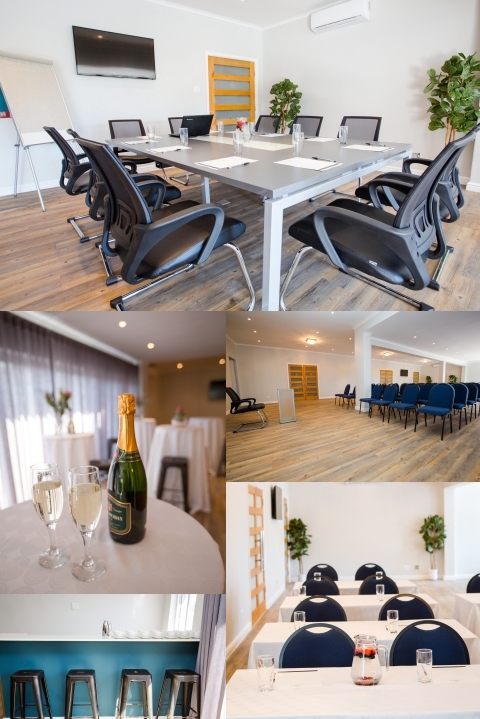 The New National is ideally located close to major Bellville & Tygervalley corporate head offices in Cape Town’s northern suburbs and can accommodate up to 60 delegates school room, 40 delegates boardroom and 40 delegates in U-shape style, 30 Herringbone and 60 Cinema style. The venue was designed to be flexible for various uses. All necessary Audio Visual and training equipment is available, as well as secure Private Parking. A 10 seater Board Room, ideal for intimate meetings or for closing large business deals. 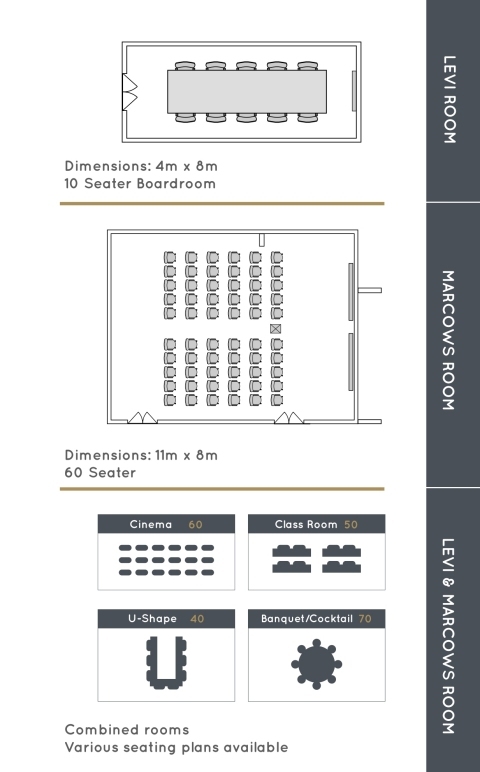 Can accommodate up to 60 people in School Room or Cinema style. It is the ideal venue for training, conferencing or events. Both venues can be combined for a capacity of 60 people. Please note: venues are subject to availability and prices are subject to change without notice and includes VAT. Enquire about our different packages available from R230 per person. Our team will discuss the available options with you for your important event. Whether you require canapés, barbecue or buffet style catering, we look forward to making your event a success. A 100% BEE owned & run operation, The New National is ideally positioned to cater for Corporate, School or Sport Groups. Contact us with your Group enquiry to secure your Best Rate. The Lodge has a capacity of 95 guests. However don’t hesitate to contact us should your number exceed this. The New National have a few friends (Guest Houses) in the neighbourhood to accommodate the surplus.